Fencing in Doncaster and South Yorkshire. MJS are Doncaster based fencing and landscaping contractors. Offering high quality fencing suppies and installation at competitive prices. 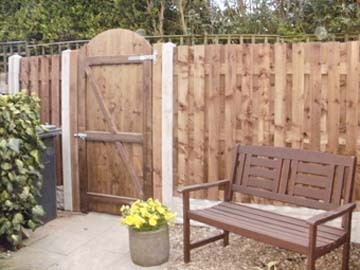 MJS have built a solid reputation fitting a wide range fences with care and attention to detail, whether your looking for a contractor to supply and fit your new fence or simply looking for a company who can offer high quality fencing components on a supply only basis, MJS can help. All of our fence panels are heavy duty and pressure treated for a longer life they can be combined with concrete fence posts and gravel boards or fitted using treated timber fence posts for clients who prefer a more natural looking fence.